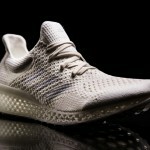 For the past very few years, 3D printing technology has adopted a number of ways to prove its versatility. 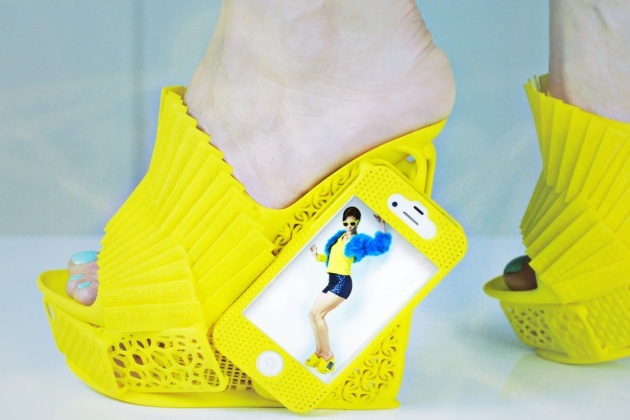 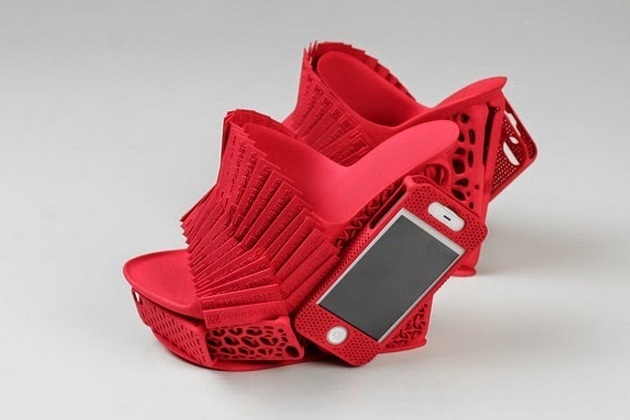 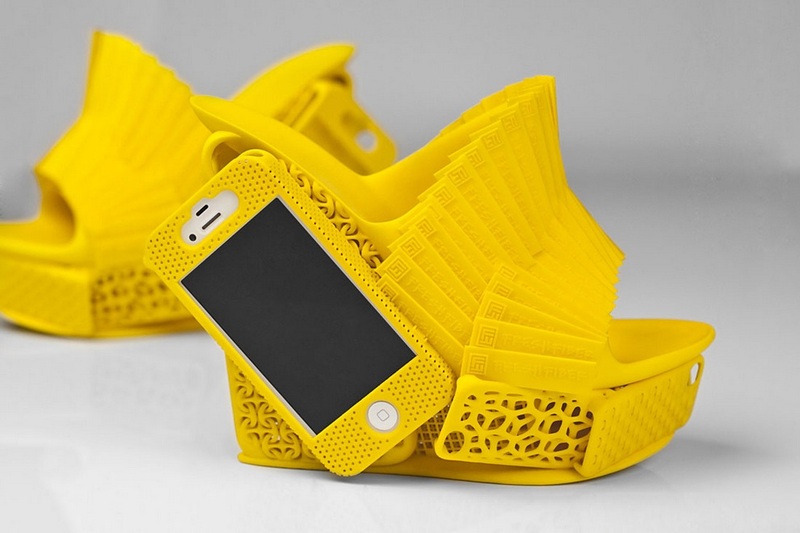 In an attempt to combine art, fashion, contemporary design language all along with 3D printing, Alan Nuyen has crafted the iPhone Mashup Shoe. 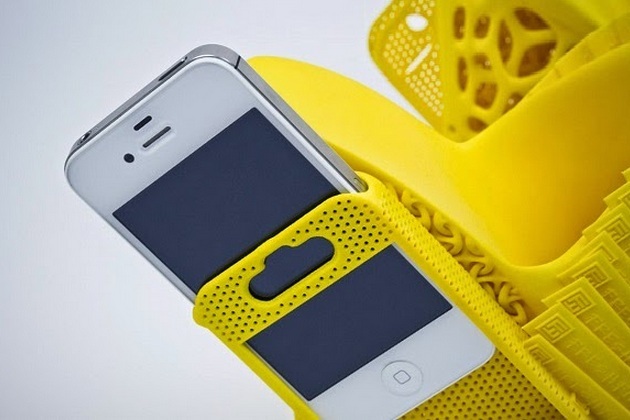 Designer at Freedom of Creation, he went to Milan Design Week 2012 for exhibition and got myriads of attention for its unique design, incredible patterns and textures and for its extraordinary feature to hold an iPhone. 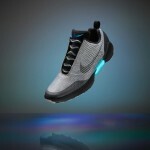 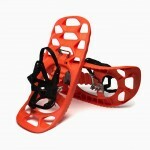 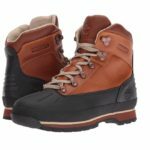 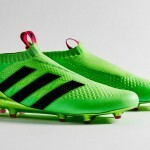 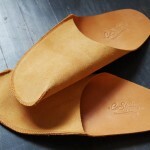 If you tend to be a bit extravagant, these shoes, beyond any doubt, offer both style and protection.